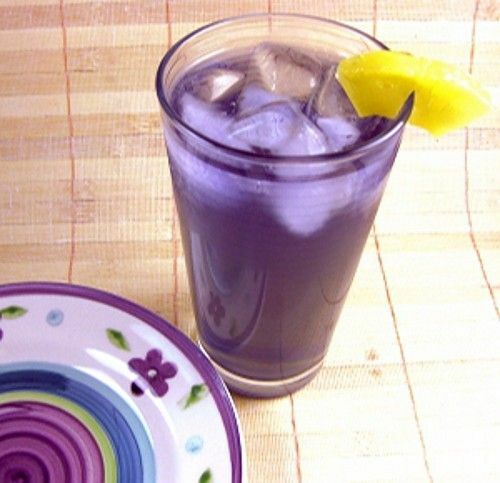 The Purple People Eater is – you guessed it – a purple cocktail. This one is all about a delicious way to imbibe a moderately large quantity of alcohol quickly. It blends lots of fruity flavors with amaretto and some actual fruit juices, which enables it to sneak up on you. It tastes innocent, but it’s got six ounces of alcohol – not all high proof, but still. Fill a cocktail shaker halfway with ice and pour in all the ingredients. Shake thoroughly. Strain the mixture into a tall glass filled with ice cubes.